Copyright Ian Collins, no reproduction without permission. VT Editor, Ian Collins, took a lot of photos of defunct post production kit, when Pebble Mill was being decommissioned, and equipment sold off. 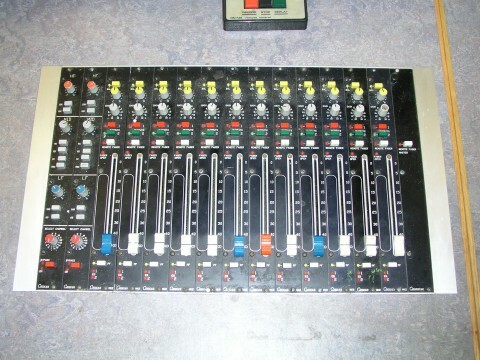 This mixing desk is one such piece of equipment. 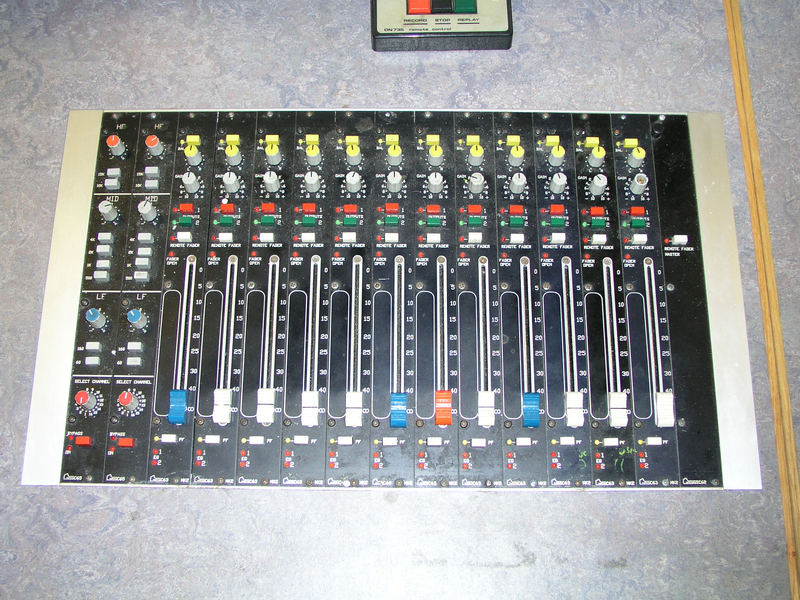 The desk is probably from one of the PSC (portable single camera) suites, used for cutting inserts and programmes recorded on beta, beta sp, and later digibeta tapes. It would have been used for mixing down the audio on the edit tape.